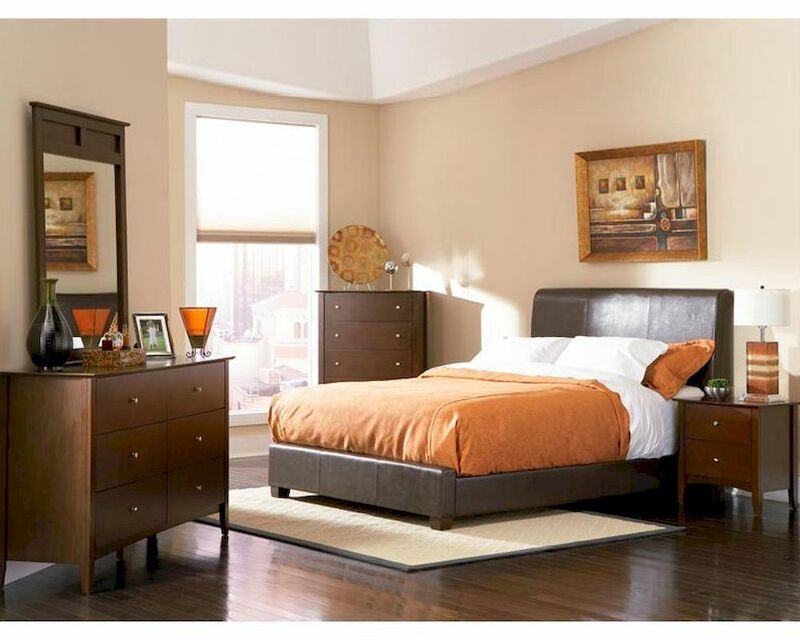 Coaster Tamara Bedroom Set CO201150SET. Contemporary design Tamara bedroom set with upholstered bed crafted from solid wood and wood veneers with faux leather and metal accents, this collection has stylish options to meet your needs. Design elements such as tapered legs, round drawer pulls and oversized tabletops give the collection a sleek, modern look. Do not forget to add Mattress to your new Upholstered Bedroom Set. 1 x Oueen Upholstered Bed CO201150Q. 1 x Night Stand CO201152. 1 x King Upholstered Bed CO201150KE. 1 x California King Upholstered Bed CO201150KW. Queen Upholstered Bed– 66"W x 80"D x 49"H.
King Upholstered Bed– 79"W x 80"D x 49"H.
California King Upholstered Bed– 74"W x 85"D x 49"H.
Night Stand– 23.75"W x 15.75"D x 23.75"H.
Dresser - 60"W x 17.75"D x 35"H.
Upholstered faux leather Upholstered Bed. Tapered legs, smooth clean lines.